The weather outside may be chilly, but it's time to go tropical indoors. 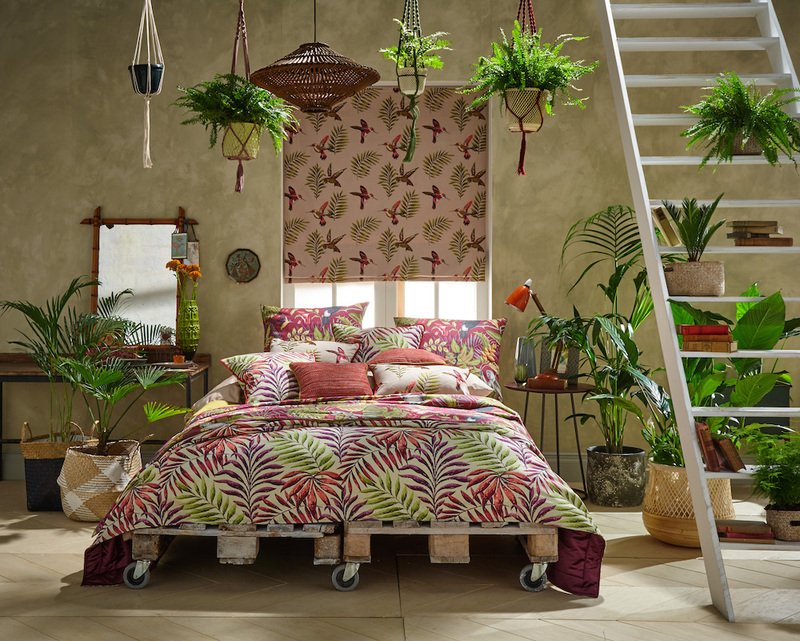 ILIV's gorgeous collection of fabrics includes exotic designs with leafy ferns, bright flowers and mischievous monkeys - perfect for those looking for some exotic escapism. A favourite look for 2017, the tropical trend doesn't seem to be going away any time soon. Full of rich colours and bold patterns, it's certainly a great way to transport your home to warmer climes. ILIV's stunning fabric collections make it easy to create a tropical style, whether you're ready to go all out with upholstered furniture and long curtains, or just want to keep it simple with a few scatter cushions and throws. Debbie Leigh, Design Manager at ILIV, comments, "We love seeing customers bring this popular scheme to life in their homes with our botanical prints. 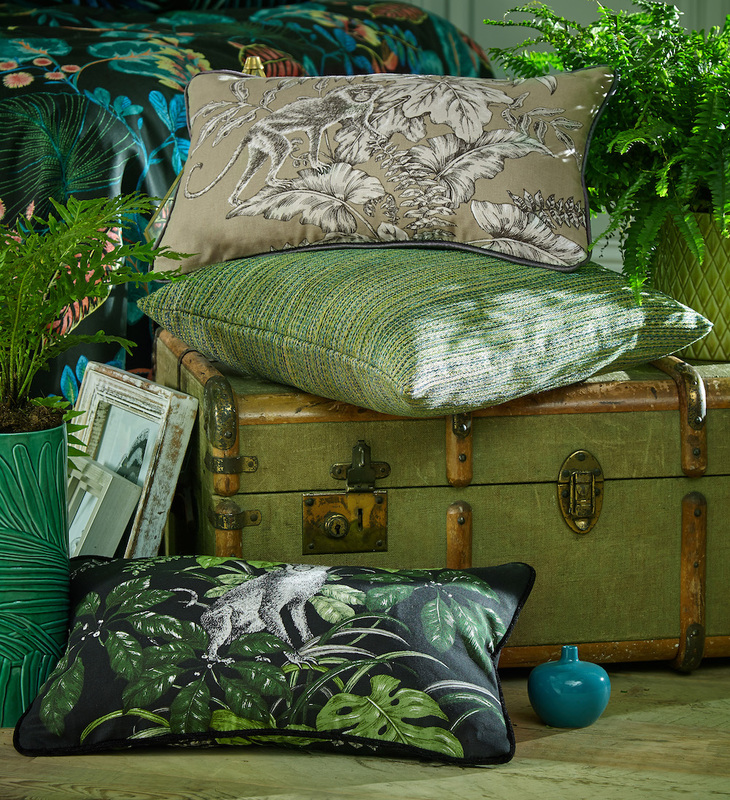 Our Rainforest and Paradiso Collections are a great starting point as they feature vibrant printed fabrics teamed with embroideries of tropical inspired designs, from bold foliage to playful rainforest wildlife. Green is a key colour for this look, and works well teamed with bold shades such as pink, orange and turquoise, creating the feel of your very own tropical haven." New for SS18, the Rainforest collection is teaming with wildlife from parrots and toucans to monkeys. These fun eye-catching designs are sure to bring a vibrant, exotic feel to any room. For those preferring a more floral paradise, the Paradiso collection doesn't disappoint. Made up of vivid, hand drawn florals in five stunning colour palettes, these fabrics are perfect for bringing natures calming influence into your interior scheme. So if you're desperate to escape the cold and add a touch of the tropics to your home, look no further than ILIV.